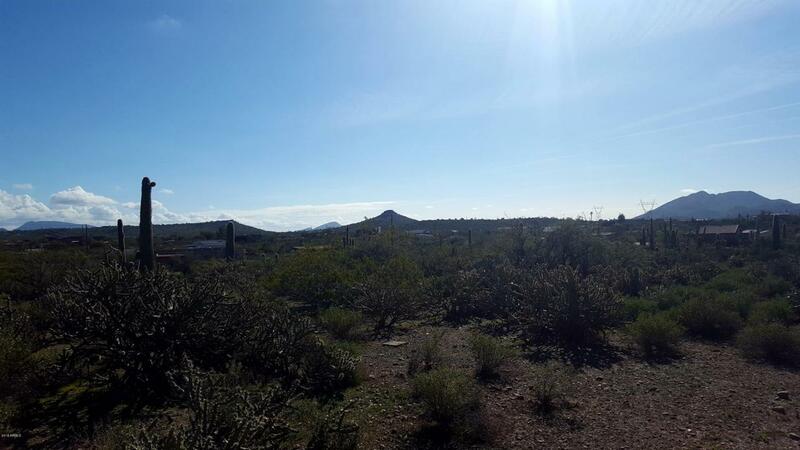 Outstanding 4.5 ac lot with great views all around and a North / South exposure. 7 min drive to the I-17 and 9 min to Anthem. Most of the lot is flat with a gentle slope at the very back and features numerous desert plants and cactus. No HOA.